Franz Boas secured his reputation as the greatest pioneer anthropologist of British Columbia while making seven trips to gather research in B.C. from 1886 to 1890, then three more between 1914 and 1931. Boas' career was triggered by a visit to Berlin in 1885 by Chief Tom Henry and nine members of his Bella Coola band, brought to Europe as performers by a young Norwegian, Bernard Fillip Jacobsen. This troupe of Nuxalk entertainers toured through Europe for a year, much to the delight of Boas, who spent as much time with the "dear Indians"; as he could manage. Originally a geographer, Boas had done field work for a year on Baffin Island in 1883-84, but the "severe sobriety"; of the Inuit had failed to impress him. The artistry and the "wealth of thought"; contained in the dances and masks of the Bella Coola performers, in contrast, immediately enchanted him. He visited their lodgings near the Reichstag, recording their songs and studying their language. He joined in their dances, almost stripping naked to do so. With letters of introduction from George Mercer Dawson, Boas reached Victoria in 1886, hoping to finance his research trip by buying Native artifacts cheaply and selling them at a profit to German and American museums. After three weeks in Victoria, Boas took a steamer north to Alert Bay, returning by way of Quamichan, Comox and Nanaimo. En route, he saw potlatches, gathered stories and witnessed a shamanic healing. He paid $120 for his collectibles and eventually resold most of them for $600. By 1888, Boas was back in B.C. taking physical measurements of aboriginals (often in jails), collecting skulls and sometimes stealing skeletons from graves. If required, he paid $20 for a skeleton and $5 for a skull. By 1891, he was positioned to plan some of the ethnology displays for the 1893 Chicago World's Fair. Under the aegis of its Columbian Exhibit to honour the 400th anniversary of Columbus' supposed discovery of America, Boas' Pacific Northwest exhibition concentrated on the Fort Rupert Kwakwaka'wakw. The first of Boas' numerous published works related to B.C., Chinook Texts, appeared in 1894. As the first professor of anthropology at Columbia University, he became increasingly reliant on George Hunt and James Teit for research and artifacts-most notably the Whalers' Washing House from an island in Jewett's Lake, near Friendly Cove, that was secured, en masse, by Hunt in 1904. Born in Minden, Germany, in 1858, Franz Boas died in New York in 1942. Douglas Cole of Simon Fraser University spent 17 years working on Franz Boas: The Early Years, 1858-1906 (1999), the first biography to draw on a large collection of Boas family letters at the American Philosophical Society in Philadelphia. In the biography, Boas emerges as a likeable person, loyal to friends and devoted to his family, although he was sometimes overzealous in pursuit of his scientific goals. For a list of books by Franz Boas, many of which pertain to B.C., consult his entry at abcbookworld. Franz Boas was a grave robber who stole skeletons, but his network of affiliates, and the extent of his publications, aided significantly by paid informants such as James Teit, John Swanton and George Hunt, have secured his reputation as the greatest 20th century anthropologist of British Columbia. Franz Boas made seven trips to British Columbia from 1886 to 1890, then three more between 1914 and 1931, gathering stories and artifacts on his way to becoming the most influential North American anthropologist of his era. His career was triggered by a visit to Berlin in 1885 by Chief Tom Henry and nine members of his Bella Coola band who were brought to Europe as performers by Bernard Fillip Jacobsen. The young Norweigan had stopped at Bella Coola on his way to Alaska in 1885 to collect artifacts for museums, then he hired the Bella Coolans on a contract basis as he was passing through Victoria. Jacobsen toured his troupe of Nuxalk entertainers through Europe for a year, much to the delight of Boas, who spent as much time with the 'dear Indians' as he could manage. Originally a geographer, Boas had done field work for a year on Baffin Island, in 1883-1884, but the 'severe sobriety' of the Inuit had failed to impress him. The artistry and the 'wealth of thought' contained in the dances and masks of the Bella Coolans, in contrast, immediately enchanted him. He visited their lodgings near the Reichstag, recording their songs and studying their language, and he joined in their dances, almost stripping in order to perform. To further his career prospects in America, Boas wanted to be able to demonstrate he was conversant with Indians as well as Eskimos. For their part, the troubadours adjusted remarkably well to their German surroundings. "German women followed us around,"; recalled Billy Jones, the last surviving member of the so-called Nuxalk Nine. "They wanted to marry us. "; A dancer named Alec Davis concurred. He had gained a German girlfriend and learned to speak passable German. "It is much easier than the Bella Coola language,"; he said. After the visit by Jacobsen's troupe, Franz Boas was eager to return to America to his fiancée, Marie Krackowizer, the daughter of an émigré Austrian doctor. In 1886 he made the long, slow journey to the West Coast, planning to finance his research trip by buying Native artifacts cheaply and selling them at a profit to German and American museums. With letters of introduction from George Mercer Dawson, Boas reached Victoria in 1886. He was surprised to find copies of his own photographs of the Nuxalk dance troupe had been reproduced for sale by an 'Indian trader' and that two members of the Bella Coolans troupe from Berlin were in Victoria. These two friends introduced him to other Aboriginals who were impressed that he could speak some of their language. After three weeks in Victoria, Boas took a steamer north to Alert Bay, returning by way of Quamichan, Comox and Nanaimo. En route, he saw potlatches, gathered stories and witnessed a shamanic healing. He had paid $120 for his collectibles and eventually re-sold most of them for $600. Boas found a job as an edior for a New York weekly called Science, married his fiancée and returned to British Columbia in 1888 where he measured Indians (often in jails), collected skulls and stole skeletons from graves. If required, he paid $20 for a skeleton and $5 for a skull. His osteological booty consisted of 200 crania, including 100 skeletons, for an outlay of $1,600. By 1891 he was positioned to plan some of the ethnology displays for the 1893 Chicago World's Fair with the Columbian Exhibit to honour the 400th anniversary of Columbus' supposed discovery of America. His Pacific Northwest exhibition would concentrate on the Fort Rupert Kwakiutl. To do so he enlisted the support of James Deans (to replicate Skidegate housing), Fillip Jacobsen, Mrs. O. Morrison (Aboriginal wife of Fort Simpson trader Charles Morrison), Reverend Myron Eells in Puget Sound and the veteran collector James G. Swan. The largest selection of artefacts, including an entire house, was sent to Chicago by George Hunt, with 365 items that represented most of the Kwakiutl and some Bella Coola secret societies. Tlingit materials were added from the collection of Edward E. Ayer, a Chicago transportation tycoon who had visited Alaska in 1887. George Hunt and James Deans brought 15 Kwakiutl adults and two children for display in 1893 but the positioning of the Boas exhibits on the enormous fairgrounds made it difficult to compete with the exotica from other indigenous cultures. George Hunt's bloody and violent rendering of one Kwakiutl ceremony, mostly for showbiz purposes, was deemed scandalous and drew protests to Ottawa. The monumental gathering of materials in a midway setting wasn't a success but it allowed Boas to cement contacts for the future. By January of 1896, Boas had finally secured a position as special assistant curator at the American Museum of Natural History in New York. In March of 1897, coincidental with the inauguration of President McKinley, The Jesup North Pacific Expedition was announced to surpass any previous archaeological and anthropological project in the North Pacific. On a grandiose scale, its object was, in Boas' words, "to investigate and establish the ethnological relations between the races of America and Asia. "; During the next six years of fieldwork, Boas would rise to the forefront of North American anthropology in association with the Jesup initiatives. Boas, as the first professor of anthropology at Columbia University, became increasingly reliant on informants George Hunt and James Teit for research and artefacts-most notably the Whalers' Washing House from an island in Jewett's Lake, near Friendly Cove, that was secured en masse by Hunt in 1904. While he was chiefly concerned with language and myth, Boas amassed artifacts in order to pay for his expenses, buying masks, commissioning women to weave blankets, etc. He realized that the construction of railways would soon bring more collectors to western North America and he hurried to beat out rivals for the anthropological booty. Douglas Cole of Simon Fraser University spent 17 years working on Franz Boas: The Early Years, 1858-1906 (1999), the first biography to draw on a large collection of Boas family letters at the American Philosophical Society in Philadelphia. In the biography, Boas emerges as a likeable person, loyal to friends and devoted to his family, although he's sometimes overzealous in pursuit of his scientific goals. Reviewer Joan Givner wrote, "After he realized that his career prospects in Germany were hopeless, Boas moved to America and took a job at Clark University in Massachusetts where, as part of his research into anthropometrics (the statistics of bodily measurement), he conceived a plan to measure the thighs of Worcester schoolgirls. The public outcry was both loud. The local paper expressed outrage that someone who had 'fooled around with the top knots of medicine men and toyed with the warpaint of bloodthirsty Indians' would be feeling their children's bodies. Boas himself became the victim of cross-cultural double-standards when the newspaper ridiculed the 'barbaric' duelling scars on his face, sustained during his student days in Heidelberg. Later Boas unabashedly deceived friends and acquaintances among the First Nations when he was pilfering graveyards. He noted it was 'repugnant work', it gave him nightmares, but 'someone had to do it'. Perhaps the shabbiest episode of Boas' career involved a group of Greenlanders brought to New York. When one died, Boas was party to staging a mock funeral for the benefit of the young son. The boy learned only years later that his father's corpse had been whisked away for scientific analysis. Such activities appear all the more reprehensible if compared to Boas' sacramental attitude to the grave of his own daughter which he treated as hallowed ground and visited regularly. "; Evidently some races were more equal than others. Franz Boas has been described as an early refugee from German anti-Semitism as well as an ardent believer in racial equality-but that's a bit of a stretch. He was a relentless collector in order to enhance his professional reputation; not primarily a crusading humanitarian. Born in Minden Germany on July 9, 1858, Franz Boas died in New York on December 21, 1942. Boas, Franz. The Central Eskimo (Washington, DC: Bureau of American Ethnology Annual Report, Smithsonian Institution, 1888; University of Nebraska Press, 1964). Boas, Franz. Chinook Texts (Washington D.C.: Smithsonian institution, Bureau of American Ethnology, 1894). Boas, Franz. Indianische Sagen von der Nord-Pacifische Kuste Amerikas (1895). Boas, Franz. The Mythology of the Bella Coola Indians (New York: American Museum of Natural History, 1898). Boas, Franz. Facial Paintings of the Indians of Northern British Columbia (New York: American Museum of Natural History, 1898; New York: AMS Press, 1973). Boas, Franz. Kathlamet Texts (Washington D.C.: Smithsonian Institution, Bureau of American Ethnology, 1901). Boas, Franz. Tsimshian Texts (Washington D.C.:, Smithsonian Institution, Bureau of American Ethnology, 1902). Boas, Franz & George Hunt. Kwakiutl Texts (Leiden: E.J. Brill; New York: G.E. Stechert, 1905). Boas, Franz & George Hunt. Kwakiutl Texts - Second Series (Leiden: E.J. Brill; New York: G.E. Stechert, 1906). Boas, Franz. The Kwakiutl of Vancouver Island (Leiden: E. J. Brill; New York: G. E. Stechert, 1909). Boas, Franz. Kwakiutl Tales (New York: Columbia University Press; Leiden: E.J. Brill, 1910; New York, AMS Press, 1969). Boas, Franz. The Mind of Primitive Man, A Course of Lectures Delivered Before the Lowell institute, Boston, Mass., and the National University of Mexico, 1910-1911 (New York: Macmillan, 1911). Boas, Franz. Tsimshian Texts, bound with Haida Songs, by John R. Swanton (Leyden: American Ethnological Society, 1912). Boas, Franz. Tsimshian Mythology: Based On Texts Recorded By Henry W. Tate (Thirty-first Annual Report of the United States Bureau of American Ethnology 1909-1910, Washington D.C.: 1916, reprint, New York: Johnson, 1970). Boas, Franz & Alexander Francis Chamberlain. Kutenai Tales (Smithsonian Institution, Bureau of American Ethnology, Bulletin 59, 1918). Boas, Franz. Contributions To The Ethnology Of The Kwakiutl (Washington D.C.: Thirty-fifth Annual Report of the Bureau of American Ethnology to the Secretary of the Smithsonian Institution, 1913-1914, Smithsonian Institution 1921; New York: Columbia University Press, 1925; New York: AMS Press, 1969). Boas, Franz. Primitive Art (Oslo: Instituttet for Sammenlignende Kulturforskning by H. Aschehoug; Cambridge: Harvard University Press, 1927; reprint, New York: Dover Publication, 1955). Boas, Franz. Bella Bella Texts (New York: Columbia University Contributions to Anthropology, Vol. 5, 1928; reprint New York, AMS Press, 1969). 40 stories in Bella Bella dialect and English, collected in River's Inlet in 1897 and Bella Bella in 1923. Boas, Franz. Keresan Texts (New York: The American Ethnological Society, 1928). Boas, Franz (editor). Coiled Basketry in British Columbia and Surrounding Region (Washington: Smithsonian Institution, 1928) [Co-authors H.K., Haeberlin, James A. Teit and Helen H. Roberts]. Boas, Franz. The Religion of the Kwakiutl Indians (New York: Columbia University Press, 1930; New York, AMS Press, 1969). Teit, James & Franz Boas. The Salishan Tribes of the Western Plateaus (Washington, D.C.: Government Printing Office, 1930). Boas, Franz. Geographical Names of the Kwakiutl Indians (New York: Columbia University Press, 1934; New York: AMS Press, 1969). Boas, Franz. Kwakiutl Tales, New Series. 2 volumes (New York: Columbia University Press, 1934, 1945). Boas, Franz. Kwakiutl Culture as Reflected in Mythology (New York, The American Folk-lore Society, 1935). Boas, Franz. Indian Myths and Legends from the North Pacific Coast of America. Bouchard, Randy & Dorothy Kennedy (editors). Translated by Dietrich Bertz, from Verhandlungen der Berliner Gesellschaft für Anthropologie, Ethnologie und Urgeschichte. 1895. Victoria, BC Indian Language Project. Stern, Bernhard Joseph. Franz Boas as Scientist and Citizen (New York: Science and Society, Inc., 1943). White, Leslie A. The Ethnography and Ethnology of Franz Boas (Austin, University of Texas Press, 1963). Rohner, Ronald P. (editor). The Ethnography of Franz Boas: Letters and Diaries of Franz Boas Written on the Northwest Coast From 1886-1931 (University of Chicago Press, 1969). Hedy Parker, translator. George W. Stocking (editor). The Shaping of American Anthropology, 1883-1911: A Franz Boas Reader (New York: Basic Books, 1974). Stocking, George W., Jr. Volksgeist as Method and Ethic: Essays on Boasian Ethnography and the German Anthropological Tradition (Madison: University of Wisconsin Press, 1996). Williams, Vernon J. Rethinking Race: Franz Boas and his Contemporaries (Lexington: University Press of Kentucky, 1996). Darnell, Regna. And Along Came Boas: Continuity and Revolution in Americanist Anthropology (Philadelphia: John Benjamins Publishing, 1998). Cole, Douglas. Franz Boas: The Early Years, 1858-1906 (D&M, 1999). [Alan Twigg / BCBW 2005] "Anthropology" "Classic" "First Nations"
Kroeber, A.L. "Franz Boas: The Man";, pages 5-26 in an issue of American Anthropologist, Vol. 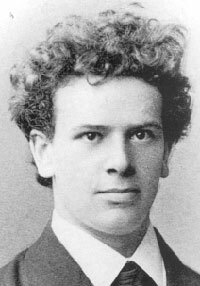 45, Franz Boas 1858-1942 (1943). The Jesup North Pacific Expedition Publications, Volume 1, Part 2. New York, AMS Press, 1973. pp. 26-127. illus. $20.00. Reprint New York, 1898. Memoirs of the American Museum of Natural History, Volume II, Anthropology I, The Jesup North Pacific Expedition, II. Jesup North Pacific Expedition Publications, Volume 3, Parts 1-3. New York, AMS Press, 1973. 3 vol. Vii, 532 pp. $47.50. Reprint Leiden and New York, 1902-1905. Memoirs of the American Museum of Natural History, Volume V, Anthropology Volume IV, Publications of the Jesup North Pacific Expedition, I, II, III. Boas, Franz. (1887). Zur Ethnologie Britisch-Kolumbiens. Petermanns Geographische Mitteilungen, 33, 129-133. Boas, Franz. (1887). Notes on the Ethnology of British Columbia. Proceedings of the American Philosophical Society, 24, 422-428. Boas, Franz. (1888). Myths and Legends of the çatloltq of Vancouver Island. The American Antiquarian, 10, 201-211-366-373. Boas, Franz. (1889). The Indians of British Columbia. Transactions of the Royal Society of Canada for 1889, 6, 47-57. Boas, Franz. (1889). Notes on the Snanaimuq. American Anthropologist, 2, 321-328. Boas, Franz. (1889). Preliminary Notes on the Indians of British Columbia. Report of the Fifty Eighth Meeting of the British Association for the Advancement of Science, 236-242. Boas, Franz. (1890). First General Report on the Indians of British Columbia. Report of the Fifty Ninth Meeting of the British Association for the Advancement of Science, 801-855. Boas, Franz. (1891). The Lku'ágen, Second General Report on the Indians of British Columbia. Report of the sixtieth Meeting of the British Association for the Advancement of Science, 562-582. Boas, Franz. (1894). The Indian Tribes of the Lower Fraser River. Report of the 64th Meeting of the British Association for the Advancement of Science , 454-463. Boas, Franz. (1916). Transformer Myths. In Franz Boas (Ed. ), Tsimshian Mythology (in) Thirty-First Annual Report of the Bureau of American Ethnology to the Secretary of the Smithsonian Institution 1909-1010. (pp. 586-610). Washington: Government Printing Office. Boas, Franz. (1981). Indian Folktales from British Columbia. The Malahat Review, 45-77.